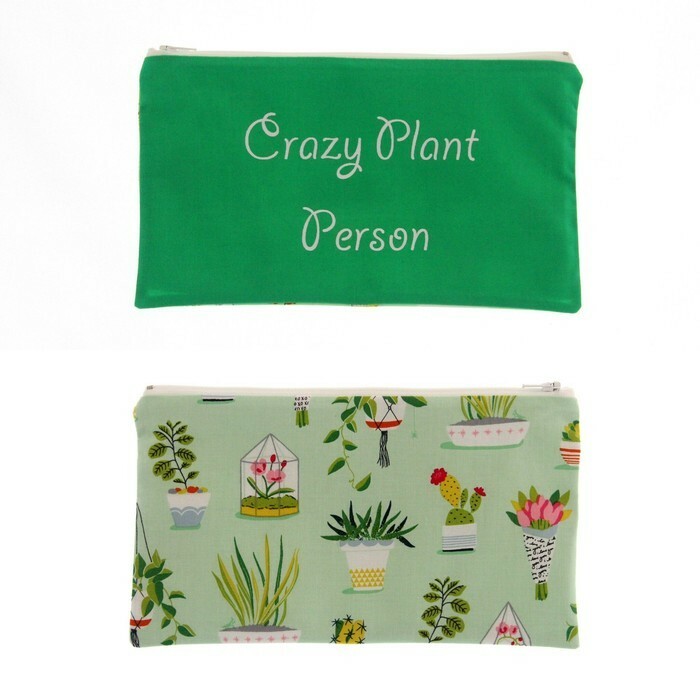 Crazy Plant Lady or Crazy Plant Person zippered bag/pouch/makeup bag/toiletries bag. 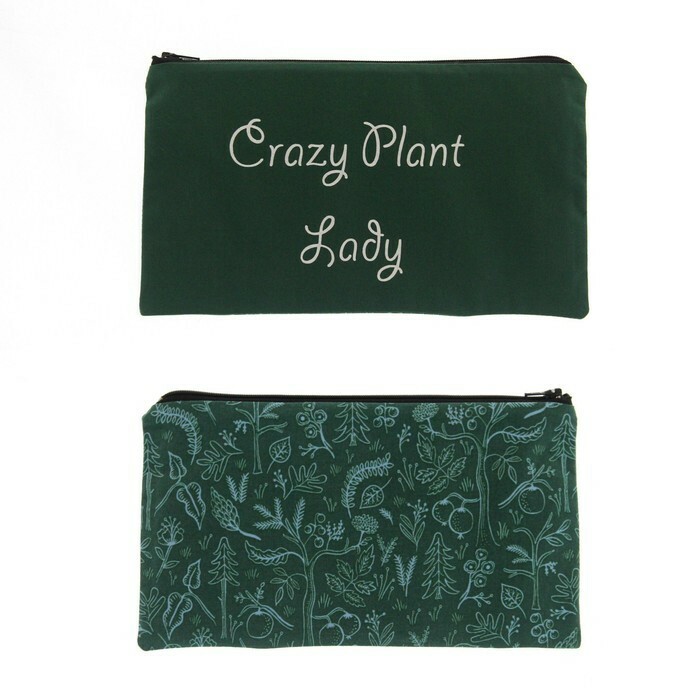 3 different plant fabrics to choose from. Fabric zippered bags are very handy to store anything you like in them, such as handbag items, hair accessories, medications, jewellery, makeup, toys and snacks. Use them when travelling to keep items together, such as all the passports in your family. The possibilities are endless. Zippered bags keep you organised and help create order in your life. All these zippered bags are my travel document size: approximate size 23cm across by 13.5cm tall (5 ¼ inches tall by 9 inches across). Perfect for keeping your passport/s, travel documents and boarding passes together. Great size for a pencil case, small makeup bag, toiletries bag, keep you medications together, jewellery or to store hair accessories in. 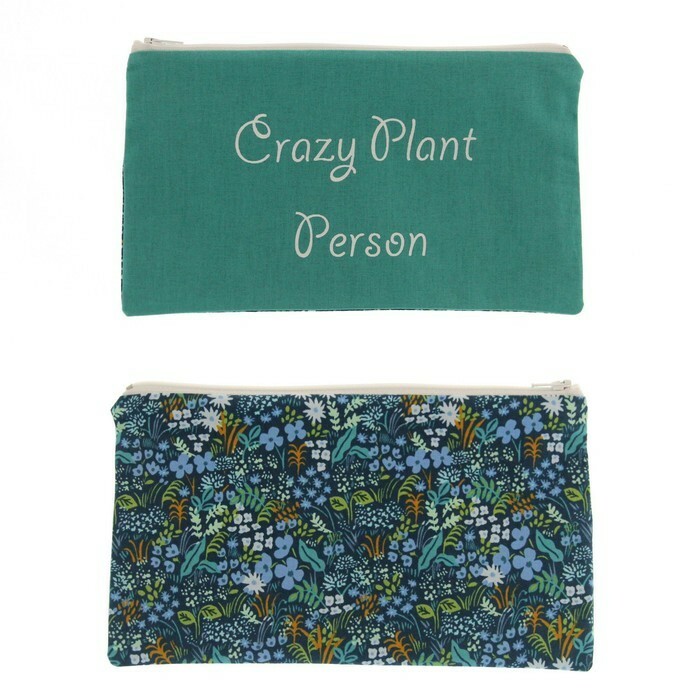 Outer fabric is 100% cotton and has been screen printed by myself with white eco friendly ink and says either "Crazy Plant Lady" or "Crazy Plant Person" - you choose which one you would like. The other side is a 100% cotton plant fabric, there are 3 different fabrics to choose from. 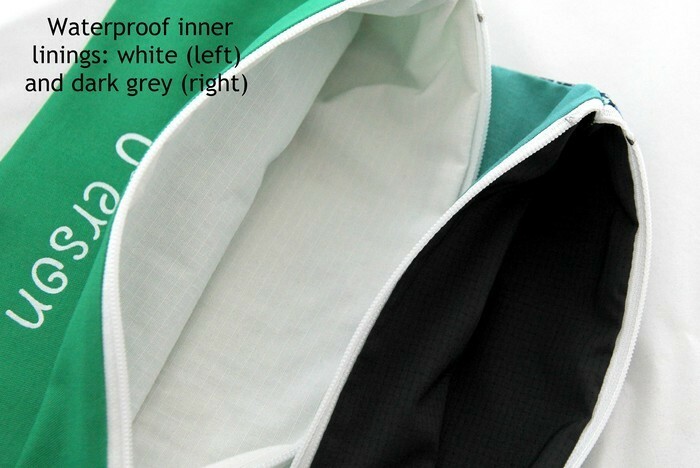 Inner fabric can be chosen to be 100% cotton drill fabric (in either white or black) or waterproof fabric (in either white or dark grey). 1. 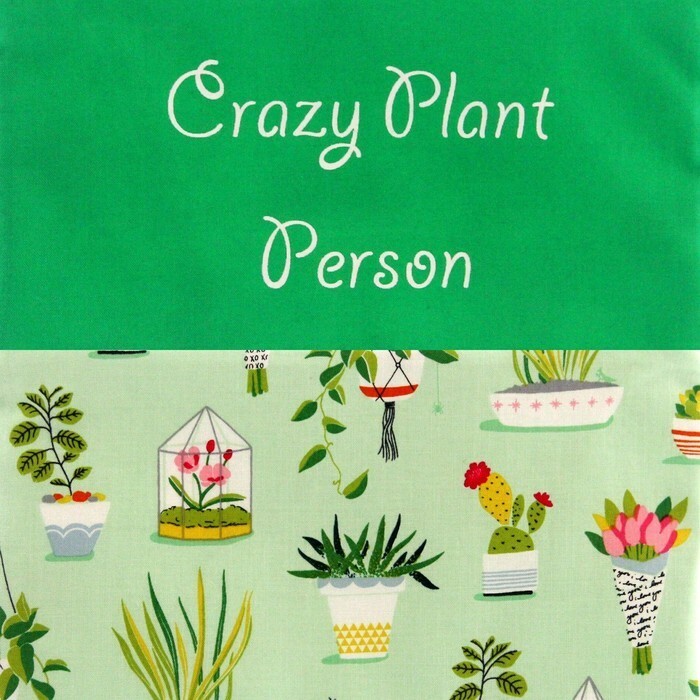 Screen print on bright green fabric, other side is pot plants on pale green background fabric. 2. Screen print on dark green fabric, other side is plant, tree, fruit outline on dark green fabric. 3. Screen print on teal fabric, other side is plant and floral fabric. Postage within Australia is free. For international orders, it is difficult for me to estimate the exact postage cost for every country, if you have been charged more than what it actually costs, I will refund you the difference.